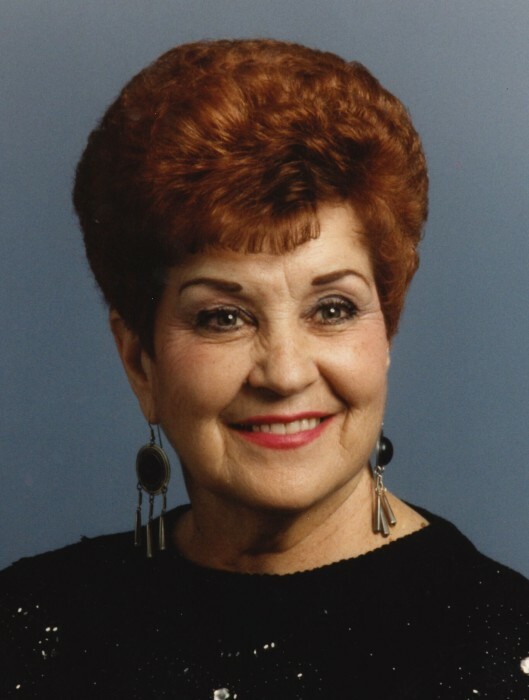 Our beloved wife, mother, and grandmother, Bonnie Faith Meyer, was called home March 14, 2019. She was born on April 10, 1928 in Twin Falls, Idaho to George Robert Miller and Eva Maretta Hansen Miller. Bonnie met Edwin Meyer and was married on December 1, 1944. She worked for First Security Bank for 25 years. During this time, she achieved a two-year banking law degree and her GED. She worked at Tupperware for seven years and then 8 years at Lamb Weston from which she retired. Bonnie was preceded in death by her parents and numerous siblings, all of whom greeted her when she arrived in Heaven. She is survived by her husband of 74 years, Edwin “Jonsie” Meyer; and their five wonderful children, William Meyer; Shauna (James) Taylor; Tamara McEntarfer; Rosa Strange; and Georgene (Josh) Closs; nine grandchildren: Nikki; Jessica (Conway); Joshua (Kia); Joseph (Georgia); Eric (Sierra); Dallas; Ashton; Faith Ann; and Kiera; and was blessed with 10 great grandchildren. Bonnie was always loving, giving, and teaching. She loved her bowling, but her favorite pastime was children. She was a member of the Church of Jesus Christ of Latter-day Saints. Stay good & pretty Mom and Grams, We Love You! A viewing will be held from 6pm until 8pm, Thursday, March 21, 2019 at Farnsworth Mortuary, 1343 S Lincoln Ave, Jerome. Funeral service will be held at 1pm, Friday, March 22, 2019 at Farnsworth Mortuary with graveside service concluding at Jerome Cemetery. Memories and condolences may be shared with the family on Bonnie’s memorial webpage at www.farnsworthmortuary.com.